Phil Taylor's "record-breaking, history-making" professional darts career came to a conclusion many felt befitted a man with such a chequered personal past. Grown tired with the bickering and apparent cloying for credit his accolades deserved (but behaviour scarcely warranted), Taylor's limp departure became something of a relief. The foundation upon which Barry Hearn and Sky Sports transformed the sport into a commercially viable powerhouse, that the initial World Championships prize-fund of £64,000 will become £2,500,000 in 2019 is nonetheless an unavoidable testament to the good Taylor had done before his ignominious exit. Tennis is not quite so indebted to Roger Federer as he undertakes his twenty-first year as a professional. Like Taylor, the Swiss is perhaps the finest player his game has produced also. Yet, while Taylor's legacy came to shape darts in such a way that life before and after "the power" took on a divide almost biblical in its certainty, tennis does not so easily forget competitors as varied as Bjorn Borg or Rafa Nadal, Martina Navratilova or Serena Williams; despite Federer's brilliance, they have not lost their lustre. With the uninitiated however, with the viewer who will attune their interest toward tennis anywhere between one, but to a maximum of four, times a year, with the fan of tennis' majors and little more, Federer is something altogether apart, he provides, as David Foster Wallace surmised, "a prime venue for the expression of human beauty." For all the excitement and drama of darts, Taylor can scarcely be said to have achieved this. Should the Swiss claim his twentieth major in this morning's Australian Open final, it will largely be seen as yet another example of that beauty displaying itself long after it had appeared consigned to memory alone. Yet, in his 37th year, even the casual tennis fan must question whether something has gone awry with this unexpected period of late success. Having endured a barren period of major wins equal to the amount of time it took him to claim his first Wimbledon title after going professional in 1998, the Swiss will now contest his third final in five attempts at this morning's Australian Open. 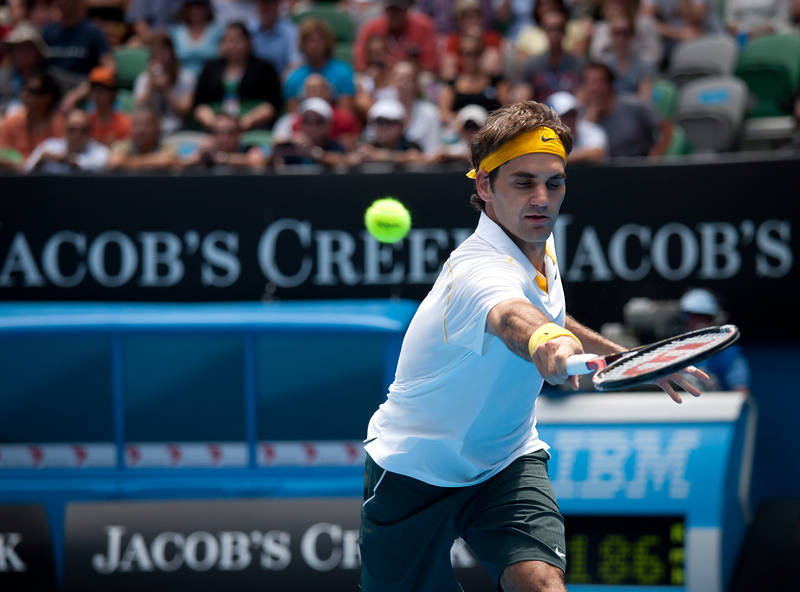 Losing three finals in succession between Wimbledon 2014 and the US Open of the following year, a win against Marin Čilić will put Federer on what had appeared an unfeasible 20 major wins overall. Whereas his 17 titles acquired by 2012 seemed like it could be caught by the younger, French Open-assured Spaniard Rafa Nadal, at 16 slams to Federer's potential 20, Nadal has become the Tiger Woods to Federer's Jack Nicklaus. Since winning that maiden Wimbledon title in 2003, the remaining 57 Grand Slams have been shared between the Swiss, the Spaniard and eight other players. Five of them have one each within that time, Stan Wawrinka and Andy Murray have claimed three each, while Novak Djokovic, Nadal and Federer possess 12, 16 and 19 respectively. Of those players, the three (Roddick, Gaudio, Safin) most closely linked to Federer in age have all retired - their three individual titles in this time-frame all coming before Gaudio's French Open win in 2004. That Federer is therefore still challenging (and winning) 14 years later gives rise to an inevitable question; why is this man still capable of dominating a sport that should have left him behind physically as he reached his apparent nadir in 2012? Of the remaining players to have won majors within the given time, all are now suffering from the physical demands elite tennis guarantees. At four, five or even six years younger than Federer, though they will still claim major wins, the effort that is often required would appear to suggest that Nadal, Djokovic, Murray and Wawrinka could not hope to be doing this for much longer. Were Federer to beat Marin Čilić in straight sets this morning, as he did in last year's Wimbledon final, the Swiss will have won his last two majors without dropping one set throughout his entire run. To put this in some context, only Nadal, whilst competing at French Open (a tournament he has won 10 times), has done this of the winners mentioned above. Even at their best, Djokovic, Murray, Wawrinka etc. 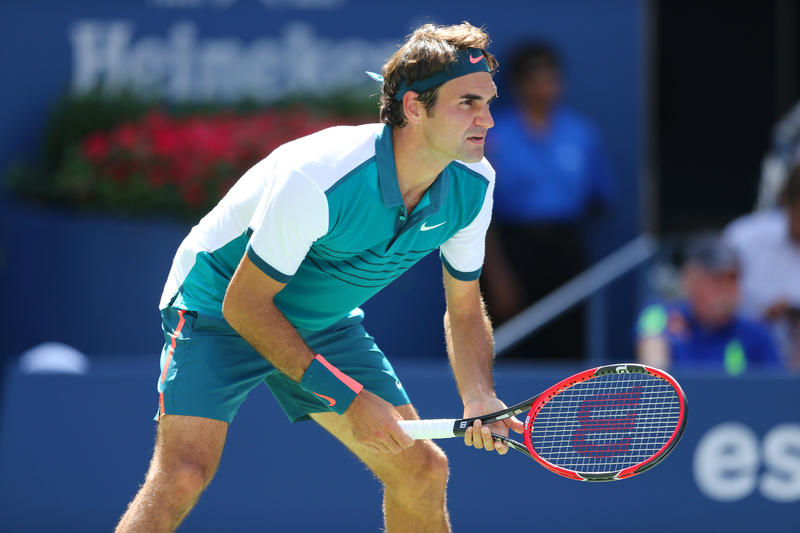 appeared to possess greater challenges than Federer has faced in these recent tournaments. Although numerous external factors contribute, it is nonetheless astounding that even during his prime, Federer had only managed this feat once before. So, has Roger Federer gotten better, or has tennis gotten worse? If the former, one may raise the comparative case of Cristiano Ronaldo. Previously inconceivable that a footballer in his ninth season with an elite club such as Real Madrid, presumably playing elite sides on a regular basis, could after 420 games have managed to score an even greater number of goals (426). That Lionel Messi has more or less done the same thing within that same space of time confounds matters further still. Perhaps, in a quirk of fate, Federer is simply a player for whom the usual limitations and expectations do not apply. Still striving as he approaches his late thirties a demonstration of a skills set that tennis simply had hitherto never witnessed. If the latter, maybe like Ronaldo and Messi, or even Floyd Mayweather and the continuation of an unbeaten boxing record seemingly propped up by his canny fight selection, circumstances have played a telling role? Is it not possible that the two footballers plying their trade in La Liga have perhaps found themselves playing in a competition where the opposition are more prone to conceding goals that would in alternative leagues be significantly more difficult? And, with their committed application to modern conditioning, have allowed themselves reach a physical point where the chance of injury - and thus missing games - has reduced also? Is Roger Federer maintaining this excellence partially because his opponents have lagged where he has not, and no generation of players thereafter has suitably progressed to take their place? Thankfully, these are not the questions a casual fan needs to bother themselves with. For now, and for as long as it lasts, we ought to enjoy his "expressions of human beauty" - as it was, it always will be.